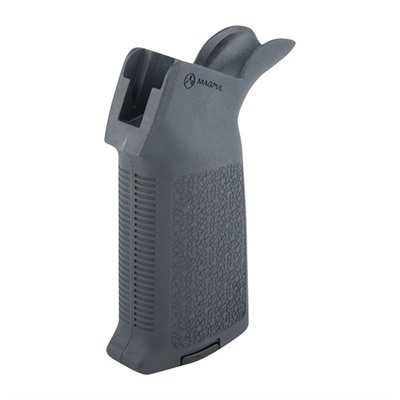 The Magpul MOE grip is designed to be an economical, easy to replace and rugged replacement for the standard M-16 grip providing a very secure hold on the weapon. The Magpul MOE grip is made of fiber-reinforced polymer with a crackle texture on the side and deep grooves fore and aft. 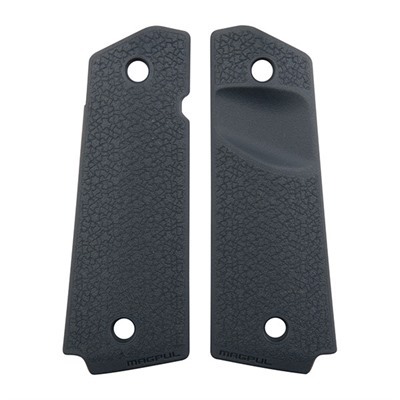 It has a comfortable curved beavertail that copies the MIAD B2 insert and covers the gap between the backstrap and the frame for extra comfort. The MOE grip is compatible with the MIAD grip cores and the Magpul Enhanced Triggerguard. 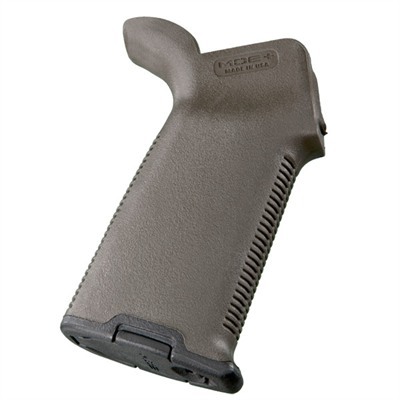 This AR grip is available in Black, OD green, Foliage Green and Dark Earth. 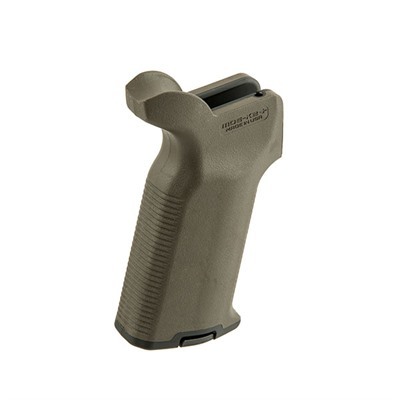 Check the price of the Magpul MOE grip at Brownells, a name you can trust. Full disclosure: Purchase an MOE grip from Brownells and I will receive a small commission. This will help keep this site online and will not affect your purchase price. This entry was posted in Grips and tagged AR15, M16, M4, Magpul. Bookmark the permalink.